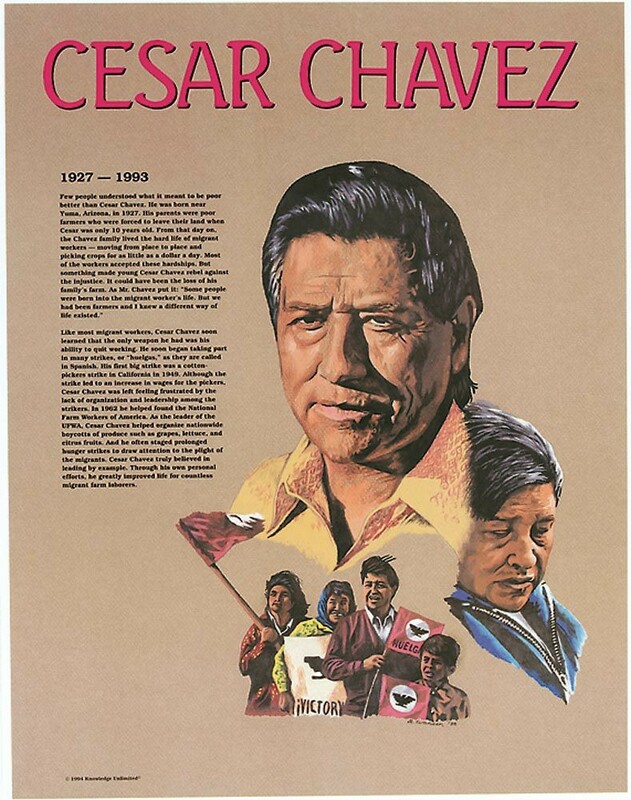 This educational poster of the great labor leader Cesar Chavez features a collage of striking images along with a concise biography. The poster introduces students and others to an important figure in the fight for social justice in America. 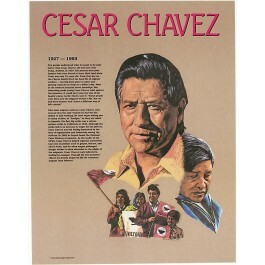 Cesar Chavez grew up in a family of migrant workers in Arizona. His family members worked long hours in the fields for as little as a dollar a day. But Chavez saw the injustice and did something about it. When he became the leader of a major farm workers union, his efforts led to nationwide attention to the plight of migrant workers, and improved working conditions for many.